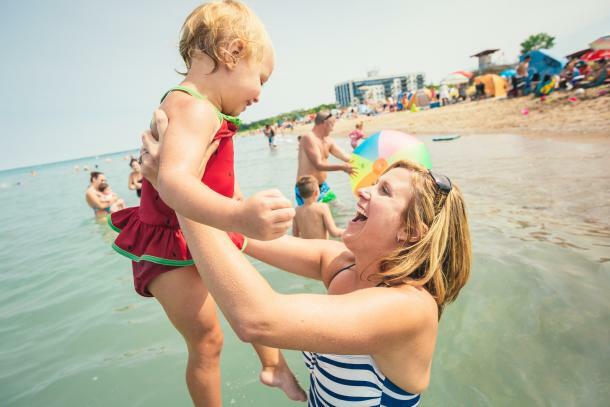 If you’re looking for a beach with tons of things to do, head over to Canatara Park where you’ll find a sandy beach that stretches nearly a kilometer along the shore of Lake Huron near the mouth of the St. Clair River. It’s the perfect family hot spot with plenty of kid-friendly activities including playgrounds, an animal farm, a BMX bike track, a children’s mini train, and 200 acres of a park with trails and picnic area. 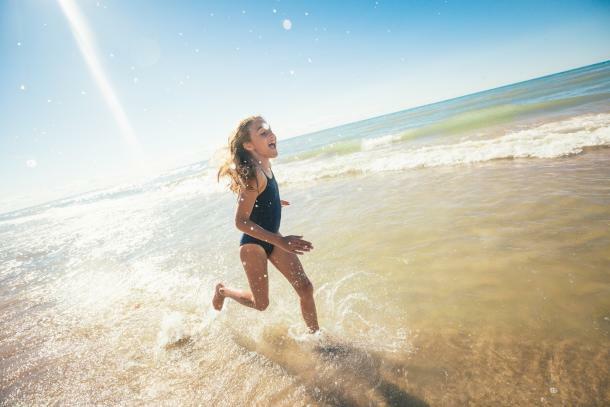 Plus, it’s one of only 26 beaches in Canada to have earned the official Blue Flag status for its commitment to strict water quality and safety criteria, and it features accessible mats for beach access. 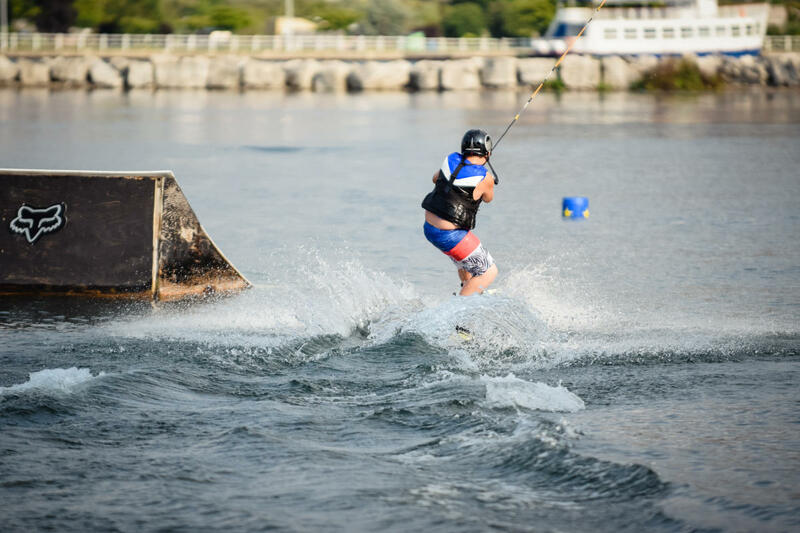 Check out some fun watersports nearby at Boarder Pass, the first straight-line cable park in Ontario, and Beach Bumz Beach Rentals, which offers everything from stand-up paddleboards to kayaks at their beachside pop-ups. Or try the Stones ‘n Bones Museum, which has a collection of about 6000 objects that range from common backyard fossils to rare gems, dinosaurs, and artifacts. When you get a little hungry, grab a bite to eat at Purdy’s Dockside Eatery where you can try some of the best fresh lake fish in Ontario. Top off your trip with a stay at the beautiful Harbourfront Inn, Sarnia’s only waterfront accommodations. If you’re looking for some peaceful relaxation, check out Brights Grove Beach, located just twenty minutes outside the city core of Sarnia. The long, sandy beach runs along the Lake Huron shoreline where you can find premium water’s edge cycling routes that make it ideal for cycling enthusiasts. This beach is perfect for families with the nearby Mike Weir Park and paddleboard, kayak, and canoe rentals. In fact, you can head over to the nearby Beach Bumz Beach Rentals, where you can find everything from stand-up paddle boards to kayaks at these beachside pop-ups. 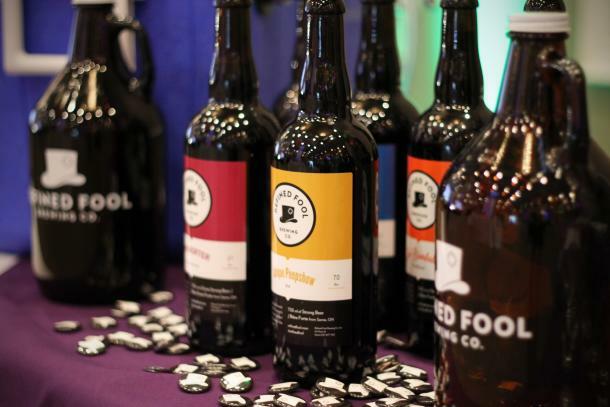 Top off your day by visiting Refined Fool, a downtown nano-brewery created by a group of teachers, creatives, blue collars, and pastors who care about beer. After that, head to the Hampton Inn by Hilton Sarnia/Point Edward, which is filled with natural light and modern décor. 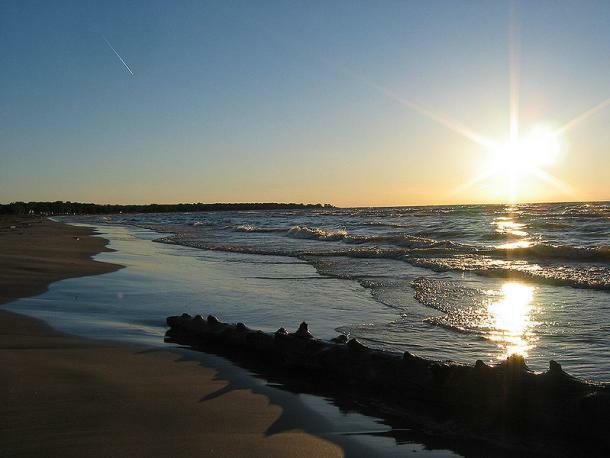 Ipperwash Beach is another beautiful spot to enjoy a relaxing escape. This quiet beach is located near the more populated Grand Bend Beach, making it the perfect escape into cottage country. Not only is Ipperwash Beach one of the longest freshwater beaches in Ontario, but soft sand and shallow water make this beach an ideal spot for swimming and sandcastles. While you’re there, visit Lambton County Trails, which is perfect for hikers, walkers, and cyclists to experience more than 100 kilometers of off-road recreational trails. For a cultural experience, check out Lambton Heritage Museum, which is home to more than 25,000 artifacts and 10,000 photographs depicting the history of Sarnia-Lambton. Then, head back into town to visit The Growling Gator, a popular dining hotspot for tourists and locals alike. Head over to Pinery Provincial Park by taking the Cruise The St. Clair River & Huron Shore Route, which is a 2.5 hour, 130 km ride along the sparkling blue waters of southern Lake Huron and the St. Clair River. It’s perfect for motorcyclists, or even drivers who simply enjoy taking the more scenic route. This park hosts 10 kilometers of sandy beach located on the shores of the mighty Lake Huron. Check out the beautiful environment, which is home to extremely rare and fragile Oak Savanna and Coastal Dune ecosystems that have extraordinary biodiversity, with over 319 species of birds spotted throughout the park. In fact, National Geographic has described this area as having one of the “Top Ten Best Sunsets” in the entire world. So why not enjoy the sites at one of the 1000 campsites that include 12 yurts, or head to the Starlite Drive In as the sun goes down to catch a movie with the family from the comfort of your car. The Pinery is a great choice for families, as it has an excellent sandy beach and tons of extensive interpretive programs. Have a delicious meal at F.I.N.E. A Restaurant, which specializes in regional cuisine with exciting daily specials that use the local wealth of fresh available ingredients. Round out your day at Bonnie Doone Manor-On-The-Beach for a lovely overnight getaway. Continue along the Cruise the St. Clair River & Huron Shore Route where you can find a local favourite, Grand Bend Beach, which is considered one of Canada’s best beach towns. Like Canatara Park, Grand Bend has gained its Blue Flag Status, and it features mats to make the beach more accessible for people using wheelchairs or strollers. This beach is a great spot for families also, as it features a splash pad, playground equipment, a boardwalk, and easy access to restaurants and shopping. Adventure seekers can connect with XTreme Watersports or Grand Bend Parasail to try parasailing, wakeboarding, waterskiing, or tubing. For even more of an adrenaline rush, go skydiving with the Grand Bend Sport Parachuting Centre, rocket out and into the water at Grand Bend Flyboard, or check out some motocross circuits at the Grand Bend Motorplex. You’ll probably work up an appetite, so try a tasty meal at Aunt Gussie’s Country Dining or Smackwater Jacks Taphouse before heading to Pine Dale Motor Inn to get some rest in a 41 room modern accommodation surrounded by beautiful gardens.